The west setting sun blaring down, bugs running rampant, blasting rain soaking your patio furniture—Nashville weather changes on a dime so you and your patio need to be prepared for it! Family-owned and -operated, ShadeWorks has been supplying shade products for over 15 years and offers a wide variety of products to fit every homeowner’s needs. Designed to get the most out of your space, ShadeWork’s installed solar screens will give you all the coverage needed, without taking away the view. 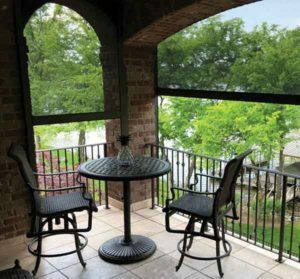 Built with all-aluminum framing, these fiberglass-woven screens have served the company’s clients’ purposes in: cutting down on bugs, sunlight, wind, and even rain! 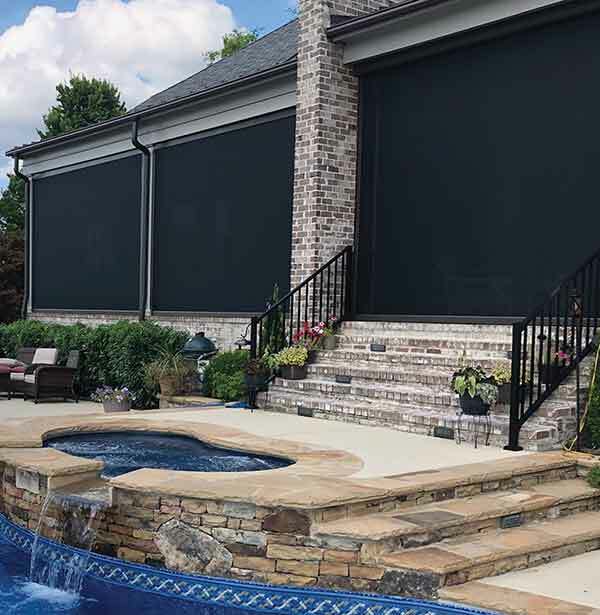 With the push of a button, solar screens can enclose a patio to decrease sunlight by 90% or even more! ShadeWorks recognizes that every deck or patio is different and comes with its own challenges. Therefore, the company has increased its product line and offers free in-home consultations to homeowners in the Greater Nashville area to help with those challenges. For other types of shade solutions check out the company’s site www. nashvilleshadeworks.com or call 615/ 264-2121 for questions or to set up an in-home consultation.